You've already seen the back, now look at the front. 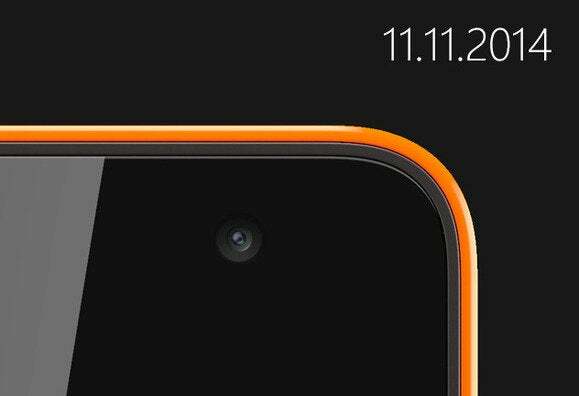 The image you see above is of the next Lumia phone. Notably, this will be the first Lumia that drops the Nokia brand in favor of Microsoft's. The device will debut on Tuesday, November 11. The company isn't saying much about the phone. In a blog post, Microsoft said the new device would deliver "the power of everyday mobile technology to everyone," suggesting we'll see a fairly budget-friendly handset. The impact on you at home: If you're in the market for a moderate-to-low priced Windows Phone, you might want to wait and see what Microsoft will have on offer next Tuesday. Don't expect any fancy new features to blow you away if it's indeed a mid-range handset, but at least you'll be able to say you owned the first Lumia phone emblazoned with Microsoft's logo. 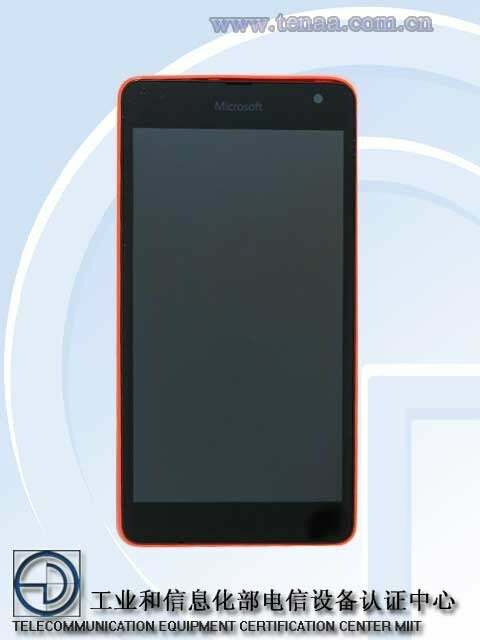 A shot of Microsoft's RM-1090 from China's telecommunications regulator, TENAA. Microsoft's Friday morning tease would appear to line up with recent leaks via China's Telecommunication Equipment Certification Center and documents at the Federal Communications Commission. Dubbed the RM-1090, current rumors say the phone will have a 5-inch 960 x 540 display, 1GB of RAM, 8GB of storage, a 5-megapixel camera, a front-facing camera, a 1.2GHz Snapdragon processor, and 3G connectivity. In late October, Microsoft officially announced it was dropping the Nokia name and that future smartphones from the company would be called Microsoft Lumia devices. At the time, Microsoft gave us our first teaser shot of the new phone, showing off only the back. Microsoft will continue to use the Nokia name on feature phones. 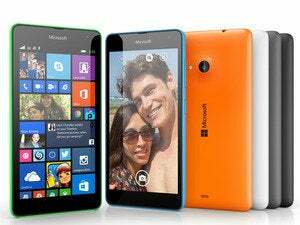 This article has been updated to correct the rumored screen resolution for the Lumia phone.